I’ve been thinking alot about this article that DD posted in the Open Thread today. 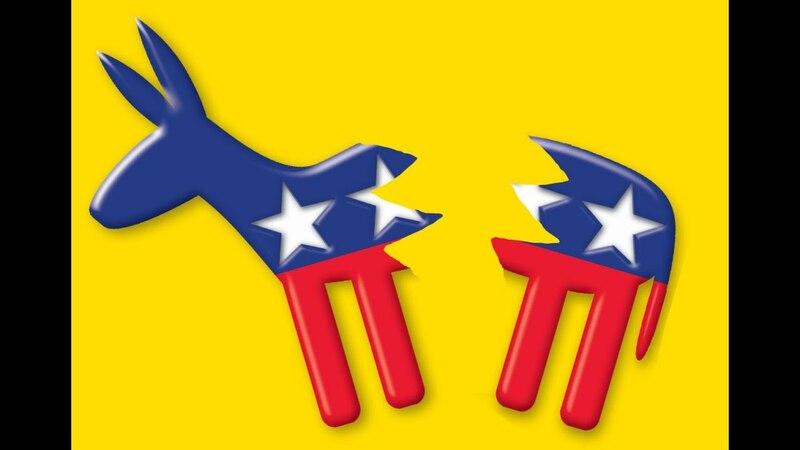 Like most Democrats, I am reading a great deal about where Democrats are and strategies to move forward, and it strikes me that this article gets close to some key points. First, there is a lot of energy on the progressive side. And if you think about some of the targets of that energy, there is a theme here — people need the help of government for some foundational items as a way to at least preserve some basic idea of working class or middle-class life. Those foundational things are an increased minimum wage, reduced cost or free higher education (community college or college), a medical insurance plan that covers what you need for a fair price. There’s more, of course, but these are the things that seem to separate the centrists from the progressives the most. But the net is meant to be implementing some structural changes that addresses the economic imbalances and tried to correct the political ones too. Second, it seems pretty plain that the point of the current centrist message is to maintain a certain status quo — a way to not have to take many political risks and maintain a certain political order. If there is anything clear about the 2016 election it is that people aren’t all that interested in a status quo. I think you can expect voters to ask candidates what have you done for me lately as the cycle goes on and I think that politicians that are prepared to talk about how their constituencies are more prosperous, or have better schools, or have gotten to some affordability for college educations are going to have an edge. That edge is a politician that is advocating for a direct investment in their voters and their families. Third, it is interesting that it is entirely the Think Tanks that are the proxies for this argument here. Clearly there is alot of money at stake here. But not necessarily good politics. Fourth, this from one of the centrist think tanks is quite right: “How to make the forces of technology and globalization work for people and not against them is the biggest public policy challenge in America.” And getting this right is going to be not just about jobs and growth — because the fruits of that growth aren’t necessarily going to be well shared by those who are doing the jobs. So ideas like single payer, higher minimum wage, better family leave requirements, strict work safety rules, the reduction of schemes that let employers rip off workers, loosening of rules for unionizing a workplace will make sure that those doing the jobs can actually thrive. Adding jobs without working at alleviating the economic anxiety that is imposed by employers with an OK from the government is not making anything work for people who work. Fifth, notice how the issues of poverty didn’t make this article? That’s because resolving poverty is not a centrist thing. But ideas like higher minimum wage, single payer, free college provide some tools (not all by a long shot) that start addressing that while at the same time helping working and middle-class people too. Last, I’m wondering why this even needs to be a thing. Democrats have an opportunity to revisit the legacy of Franklin D. Roosevelt, Truman and create their own narrative of nostalgia for a better time to actually make a case for doing some heavy lifting for regular people. Recall a time when college was dirt cheap (subsidized by the government more than it is today), when you had an insurance card that got you all the medical services you needed with no cash transactions, when minimum wage would let you pay off a student loan in a couple of years — and you start making a case that free college, single payer and higher minimum wages start getting us back to a much less anxious time. When Senator Al Franken signed on as a co-sponsor for Sanders’ Medicare for All bill, he did it by invoking the spirit of Paul Wellstone and noting while he did not know if Sander’s bill was the right solution, it was the right aspirational direction and that is what he wanted to move forward on. In the meantime, he was still going to try to fix the ACA. Aspirational — claim that mantle and start moving towards it. It is the aspirational stuff that catches the attention and as long as we’re not lying about it, you’ve got a platform to work out some of the more pragmatic stuff. But an agenda that funnels money to businesses in hopes of getting more growth isn’t very exciting mainly because we know that much of this simply doesn’t help the people who need it the most. And has the added benefit of pretty clearly not working. What do “centrist” Democrats stand for. Well, are not “maintaining a status quo” and “a certain political order” the very definition of conservatism ? That’s why such “centrists” should have no place in a party with any claim to liberalism. Some status quo is just fine — we want to maintain voting rights for women and African Americans, for instance. Unfortunately, in a lot of important places that’s no longer the status quo. Retaking that ground is more important than anything else Democrats can do. Yikes, agreeing with Delacrat, focusing on the status quo and not taking risk is indeed the old definition of conservatism, a definition that no longer applies to today’s radical Republicans. But I prefer Corporatist, “centrists” take their orders from the chamber of commerce and Wall St., those are the groups they serve. Sounding familiar in Delaware? A focus on the needs of business is leaving their constituents behind. And leaves their constituents with the bill. Delaware derives over a third of its revenue from acting as the chartering agent for multinational corporations, legal entities that function mainly to evade responsibility (it’s right there in the name, limited liability) and usurious banks. If you’re looking for someplace designed to challenge Wall Street and/or the Chamber of Commerce, you’re in the wrong place. What are your claims to liberalism?